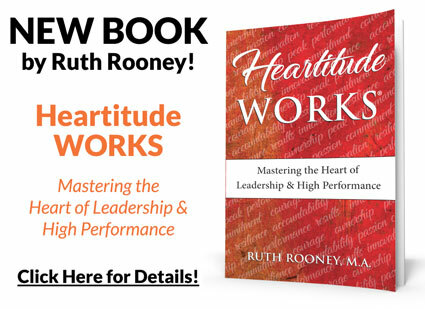 Engage Hearts & Minds From Afar – Heartitude Works by Ruth Rooney, M.A. Heartitude Works by Ruth Rooney, M.A. We’ve all been there – trying to keep a relationship going from miles away. You may not have thought of your remote teams as long-distance relationships, but they are! Even with technology to make it easier, did you know that almost half of all LDR’s fail? Keep the relationship strong and productivity high by keeping people talking! Connection Conversations: Remote workers need to feel like they belong to the team. They need to be able to see clearly how their work connects to the team’s mission, culture and success. They need to understand their coworkers differing interpretations, work styles, information needs, and life outside of work. Virtual team leaders show caring by ensuring clear agreements and understanding of expectations. The leader must go first to model talking and listening often to clarify expectations, radical as that may sound. Use multiple vehicles and technologies to enable ongoing dialogue, to “see and talk,” to make the heart connection required for a sense of true belonging. Commitment Conversations: Commitment comes from the “why” for most people. Humans want to be accountable for doing what they say they will do when they have a deep, heartfelt reason for what they are doing or who they are doing it with. Leaders must engage people by highlighting how the company serves its’ customers and its’ people – and don’t forget to talk about your positive global citizenship. Help people understand how they are working in concert with their own beliefs, values and goals. Commitment leads to the right decisions and “above and beyond” bottom line results. Competence Conversations: If Connection and Commitment are the foundation of successful long-distance work relationships, then Competence is the bread and butter. Teams are built on trust and for virtual workers, trust is built on competence. A leader must ensure that remote workers have the knowledge and skills to deliver the results needed, giving them the feedback, coaching and mentoring they need to be fully productive. Create a system to drive continuous feedback conversations within the team. Most important are systems that promote broad information sharing, feedback on work-in-progress, quality issues and a forum to resolve interpersonal disagreements fairly. Celebrate best practices and successes. People do what gets measured and rewarded, no matter where they are. Clarify expectations around availability, work hours, weekends and communication processes. Be alert for possible misinterpretation. Create team agreements, give the team opportunities to get to know each other and smooth out processes that foster collaboration. Be explicit about authority and priorities to avoid confusion. What is most important? Who makes decisions? When is work successfully handed off? What level of quality? Get the team together at least bi-weekly. Get creative where time zones and language cause barriers; i.e. use video, record team meetings. Take an Agile approach and set short term milestones. Generate dialogue about what’s working, what’s not working and what’s next. Send agendas and materials in advance! Rotate who runs the meeting and distribute timing fairly. Create a team website where status, issues and best practices can be shared. This is essential to keep live team interactions focused on problem solving, brainstorming and decision making. Partner remote workers from different locations to increase sharing, enhance perspective and improve problem solving. Make Competence Conversations core to your team’s culture. Engage experienced members to buddy up with newer ones to offer feedback on how to navigate day-to-day issues. Competence Conversations are delegating, feedback and coaching conversations. Use open ended what, how, when questions to ensure that you understand clearly how you are being interpreted. Examples might be: What experience have you had that is similar or applicable to this task? How will you approach, what will you do to get started? What’s one bit of help you need now? When and how should we measure progress? Don’t wait! Engage your remote workers in a connection, commitment, or competence conversation today. Give Your Leaders a Competitive Edge in 2018! Looking to make your virtual teams work even better? Could they be giving and getting better feedback? 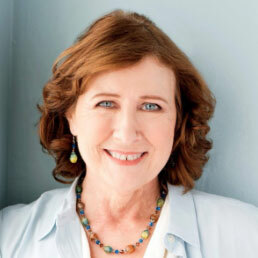 Email me at ruth@execudome.com to explore how I can help you.